Body is Kunin Plush Felt. 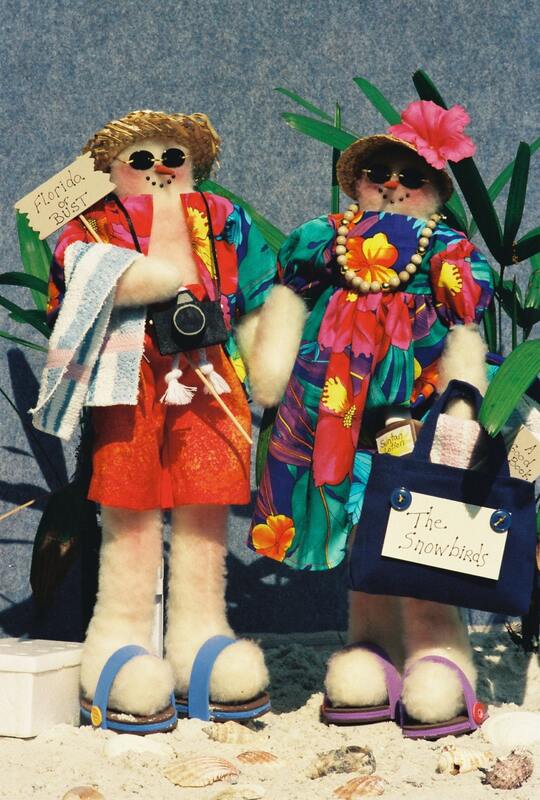 Absolutely adorable tourist couple. Dressed in tropical print fabrics. Pattern for flip-flops, camera, sign, beach bag, and beach towel all included. Easy to make. Copyright restrictions: No commercial use. May not be copied, reproduced or mass manufactured. Finished dolls made by you personally may be sold on the internet and at local craft shows Please give Fruitfull Hands Dolls design credit.